While developing a frame for a replica, wire wrapped, guitar I was making, the stark simplicity of this outline just begged to stand on its own. 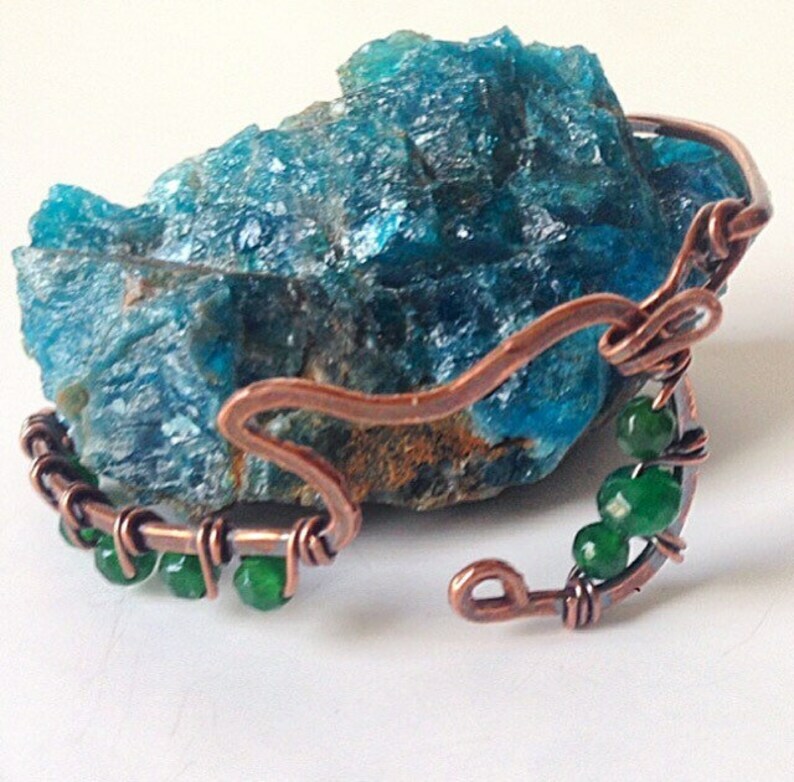 So I went with the inspiration, hammered and polished the copper, and formed a bracelet. I added a simple hinge clasp with a hook, and wrapped Emerald beads for a little pop of color. A little patina and tumble polish, and here it is! Emerald is May's Birthstone, and a Chakra healing crystal.